Alcatel announced the Idol 4S at MWC in February. Today, it announced the phone would ship in the US. In August. That's over five months after the phone was announced, near as makes no difference to half a year. It will go on sale for pre-order on July 15th for $349, and will later see its price increase to $399 on August 3rd when the phone begins shipping. Alcatel will also offer financing for "as low as" $37 a month, though they fail to address how long that financing term is, which is sort of important. The Idol 4S is one of two Idol devices Alcatel announced at MWC. The cheaper Idol 4 was not mentioned in today's release, and that's probably for the best - its Snapdragon 617 processor is a bit of a red flag at this point, and I tend to get a bad feeling about any phone using a 615/6/7-series chip these days. The 4S packs a 5.5" Quad HD Super AMOLED display, 3GB of RAM, 3000mAh battery, dual SIMs, dual front-facing speakers, Snapdragon 652 processor (i.e., the good 600-series chip), 16MP rear and 8M front-facing cameras, and an all-new metal and glass design that has a decidedly Samsung-y vibe when viewed from the back. It will run Android 6.0 Marshmallow with Alcatel's fairly light software UI. Alcatel says the 4S will get Android 7.0 via an update, but how long you'll have to wait for it is anybody's guess - Alcatel took its time updating last year's Idol 3 from Android 5.0.1 to 6.0, but it did come through in the end. The phone also includes that nifty VR headset box. The Idol 4S enters a mid-range smartphone market that has changed considerably since the phone was announced in February - Google's Nexus 6P is seeing discounts scraping the $400 zone, the OnePlus 3 has turned out to be quite an excellent device, and ZTE announced today that its new Axon 7 will go on sale in the US soon for the same $400. There's little denying each of these phones have something to offer over the 4S, either. The OnePlus 3 and Axon 7 have more RAM - the former fully double the Idol's 3GB. Both come with twice the storage (64GB). 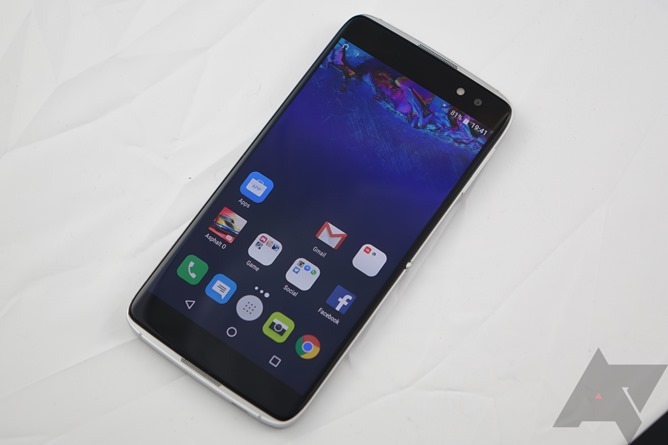 Both also offer the newer, faster, and more efficient Snapdragon 820. Don't get me wrong, the 652 is a very good chip, but the 820 is a hard option to ignore at the same MSRP, especially when it comes alongside other spec perks like more storage and RAM. Alcatel will have a tough sell of the Idol 4S here in the US among finicky unlocked smartphone buyers. Let's hope its newest phone has a few tricks up its figurative sleeves. IRVINE, Calif. – July 13, 2016 – Alcatel - the number four mobile phone manufacturer in North Americai - today unveiled its unlocked Android flagship with the award-winning IDOL 4S. A follow-up to the award-winning IDOL 3 – widely regarded as one of the best smartphone values of 2015 – the IDOL 4S brings a new level of design and features that has made Alcatel's IDOL flagship line one of the most prized in the industry. Unveiled globally earlier this year at Mobile World Congress, the value-packed IDOL 4S is loaded with all the features customers need in an affordably priced unlocked smartphone, including a Qualcomm® Snapdragon™ 652 processor, 3.6-watt JBL certified speakers with Waves Audio and Synaptics’ fingerprint sensor technology. IDOL 4S also comes packaged with an industry first with the world’s first VR goggle packaging bundle, as well as Alcatel’s exclusive Boom Key which brings a variety of experience enhancements with just one push of the Boom Key button. “IDOL 4S represents Alcatel’s commitment to offering more than just great hardware; it is our commitment to providing a richer, experience-driven value that offers a more emotional connection to how consumers use and enjoy mobile technology in their lives.“ said Steve Cistulli, President and General Manager for Alcatel, North America. IDOL 4S will be available for pre-order through Alcatel’s website beginning 8:00am PDT on July 15 for $349.99 USD, with pre-sale orders shipping early August. Customers who purchase during this pre-sale period will receive the standard IDOL 4S and VR goggle bundle, 2.5D tempered glass screen protector, JBL headphones, an IDOL 4S protective case from our accessory partner, Incipio, as well as free shipping on their order. This unreal IDOL 4S bundle officially goes on-sale August 3 for $399.99 USD with free standard shipping included, and will be available exclusively through Alcatel’s online store at launch and is compatible with all GSM wireless providers in North America. Alcatel is also announcing purchase financing options for buyers, making IDOL 4S available for as low as $37 per monthii. Maintaining the familiar lightweight design and sleek look that has been the heritage of the IDOL smartphone line, the IDOL 4S showcases the evolution of the new Alcatel brand unveiled at Mobile World Congress. With a black 2.5D glass body and full metallic frame, the IDOL 4S redefines modern elegance in value-focused smartphone design. To complement this design, we’ve partnered with Incipio to develop exclusive accessories for IDOL 4S, including a variety phone case flavors for consumers to choose from. These cases offer added protection for IDOL 4S, as well as a chance for users to customize their IDOL 4S with cases made by one of the leading mobile accessory makers in the industry. Loaded with features, yet accessibly priced, the IDOL 4S delivers all the key ingredients needed for users to do more with their smartphone. Starting with a 5.5-inch Quad-HD AMOLED display, IDOL 4S offers a vivid user experience, with better power consumption and easy to read viewing angles; even in direct sunlight. Alcatel’s newest flagship is also powered by the Snapdragon 652 processor, making multitasking a breeze, but also empowering immersive experiences like 4K video capture, enhanced gaming and improved graphics processing. Continuing the IDOL legacy, IDOL 4S also features best-in-class audio, packing dual 3.6-watt JBL certified speakers featuring Waves Audio technology to make sure you always have the best settings for listening to music or watching movies. IDOL 4S also offers improved cameras, including a 16MP main camera with f/2.0 aperture, featuring a Sony sensor, 0.1 second phase detection autofocus and 0.6 second instant shot. And thanks to having the unique camera application, FYUSE, built into this feature-packed smartphone’s camera software, you can also capture images in full 360 degrees. No need for a selfie stick with IDOL 4S either, thanks to the 84 degree wide angle lens on its 8MP front facing camera. And there’s no need to worry about constantly looking for a place to charge up since IDOL 4S comes with a robust 3000mAh battery that includes Qualcomm® Quick Charge, so even if you do need to charge up you can do it in a snap. What really sets IDOL 4S apart from other unlocked smartphones though are the continued innovations it brings to the market, like the world’s first VR goggle packaging bundle and the IDOL Boom Key experience. For more than 20 years, Alcatel has been dedicated to making innovative technology accessible and with IDOL 4S, Alcatel meets this commitment by giving access to the latest technology experience on the market: virtual reality. With the addition of the Alcatel VR goggles, users get a comfortable, easy-to-use VR experience that includes simplified controls on the goggles for smooth navigation while enjoying VR content. The IDOL 4S also comes with pre-loaded VR applications, like Littlstar, so right out of the box users can enjoy hours of free VR content. Another innovation introduced with IDOL 4S is Alcatel’s Boom Key experience. This physical button location on the right side of the IDOL 4S creates simple experience enhancements to a variety of features, including the camera, audio, user experience and more. Thanks to this experience button users can now take instant photos going from pocket to picture in just seconds, long press for burst shot photos, boost the loudness and bass of the speakers while listening to music while also creating a more immersive audio experience, enhance the voice clarity and loudness while making a phone call, and even instantly live stream while recording a video to easily share those moments with friends. The Boom Key can also be assigned to any application on the device to quickly open that favorite application. 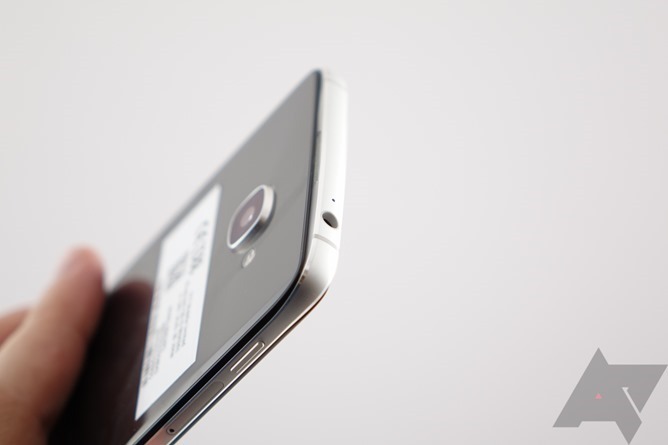 For more information on IDOL 4S, please visit Alcatel’s website.